The E.O. Wilson Biodiversity Foundation is shaped by the inspiration and guidance of Edward O. Wilson, who has been named one of the century’s leading environmentalists by both Time and Audubon Magazine. A Professor Emeritus at Harvard, E.O. Wilson is the greatest living scientist of our time. As a Pulitzer Prize-winning author and winner of over 100 awards, Wilson speaks about the urgent need for broader research and understanding of our biodiverse planet in order to protect key species and avoid unintended destruction of the ecosystems that sustain our lives. Wilson warns, “The loss of a keystone species is like a drill accidentally striking a power line. It causes lights to go out all over.” The inadvertent degradation of the natural world can be slowed, or even halted, however, through biodiversity research that expands our understanding of our ‘little known planet’ and that innovates in helping us to learn how to best care for it. We aim to foster a new generation of enthusiastic explorers, environmental policy makers, and informed citizens that celebrate and conserve the biological richness of nature as a treasure to be passed on. Our innovative education initiatives include short video productions, social media, live events, literature and art. Among our projects is E.O. 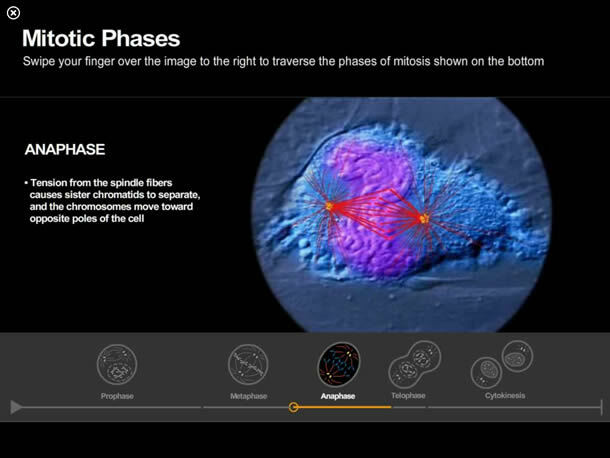 Wilson’s Life on Earth, a pioneering digital biology textbook for high school students. By utilizing the power of interactivity and animation, this iBook is set to revolutionize the way that students learn and retain information about the living world. While covering the full range of biology topics, Life on Earth also documents the ecological restoration of Gorongosa National Park in Mozambique and uses this “living experiment” to foster a better understanding of the diversity and fragility of all of life on Earth, and why it must be conserved. Through a partnership with the Gorongosa Restoration Project, the E.O. Wilson Biodiversity Foundation will bring the work of scientists from the E.O. 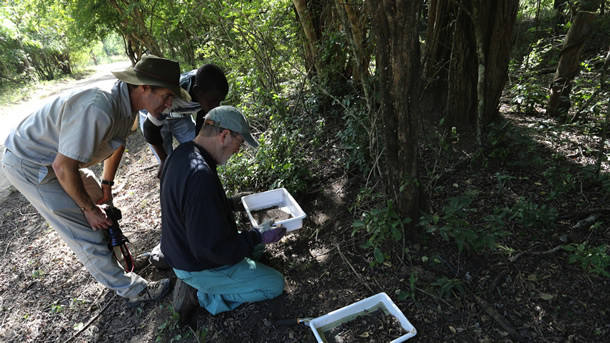 Wilson Biodiversity Laboratory at Gorongosa National Park into the public eye through a progressive communication strategy that connects scientists with the general public in their homes, museums, and schools. The 2016 National Park Service Centennial has created a unique impetus for biodiversity research and education initiatives here in the U.S. The E.O. 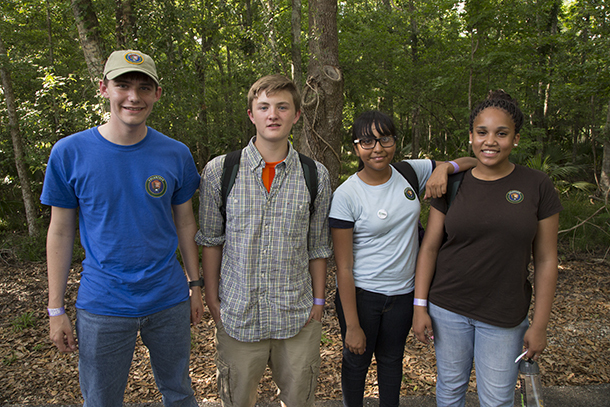 Wilson Biodiversity Foundation is actively working with the National Park Service (NPS) on these initiatives, including stewardship of a program that provides mentorship to NPS Biodiversity Youth Ambassadors across our National Parks. In an exciting new initiative, we are joining stakeholders from the Alabama environmental conservation community to develop a plan to celebrate the unique biodiversity of the Mobile-Tensaw Delta through its designation as a National Park unit. Our impact will ultimately be measured by a long-term sea change in perspective and in the way we live our lives. We are shaped by the inspiration and guidance of Edward O. Wilson and welcome the collaboration of those who share his vision and sense of urgency about humanity’s role in shaping our environment and the future of life. Our projects drive toward a culture of stewardship in which people are inspired to conserve and protect. Please join us in our work by making a tax-deductible contribution. We are public charity, and depend upon your donation for our support. All photographs, texts, videos, and other artwork appearing on this website are © 2018 by the respective artists or authors.